Inspired by Telluride, one of Bobbi's favorite vacation spots, this limited-edition set has everything a woman needs to transition her look effortlessly from summer to fall. It features a 6-pan eyeshadow palette with matte, shimmery and metallic shades, Bobbi's award-winning Long-Wear Gel Eyeliner and Extreme Party Mascara, both in blackest black, shimmer-infused Bronzing Powder and Lip Gloss. Telluride Illuminating Bronzing Powder (0.28 oz.). Black Extreme Party Mascara (0.20 oz.). Black Ink Long-Wear Gel Eyeliner (0.1 oz.). Bellini High Shimmer Lip Gloss (0.24 oz). 1. Bone. 2. Blazing Star Sparkle. 3. Woodrose. 6. Pink Copper Metallic. 5. Heather Rose Shimmer Wash. 4. Smokey Brown. Blazing Star - Pale beige (sparkle). Pink Copper - pale pinkish copper (metallic). Heather Rose Shimmer Wash - neutral mauve shimmer. Photos of the products taken in store and not really true to color. Swatches taken under natural lighting. 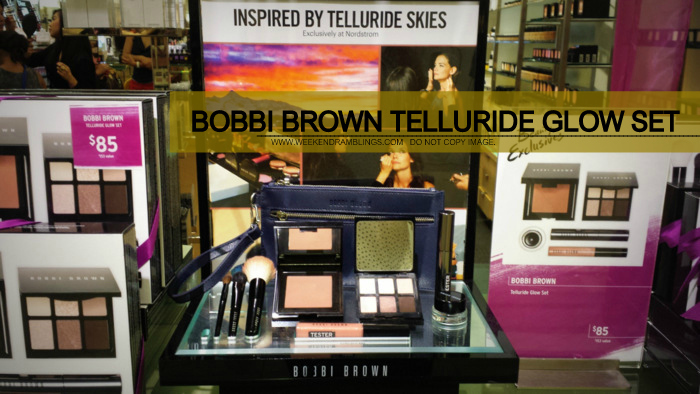 Lydia Loves has pretty accurate photos of the Bobbi Brown Telluride Makeup set on her blog. The Ink black eye liner and gloss is great!! Those two are really good! 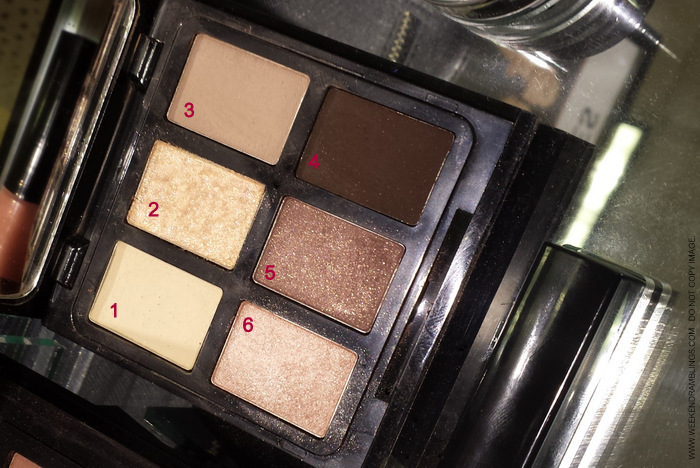 Not very exciting, I have some BB eye palettes offering similar colors.... I will not purchase, for sure !